White wine nage. 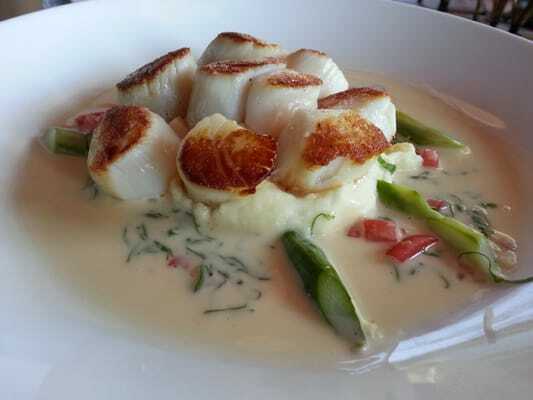 That's the delectable sauce that surrounds the sea scallops at Bistro Niko. Start with an endive salad and glass of champagne. Then move ever so slowly to your scallops in sauce. Pair with a chardonnay. It's a great way to spend the lunch hour on Peachtree. Mexican! Agave will hit the spot. Gourmet Mexican in Cabbage Town. Have a Texas margarita to start. 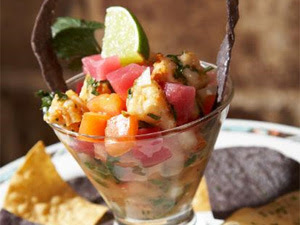 The ceviche martini is awesome. And you can't go wrong with the fish tacos. Then try the grilled chile & lime swordfish.